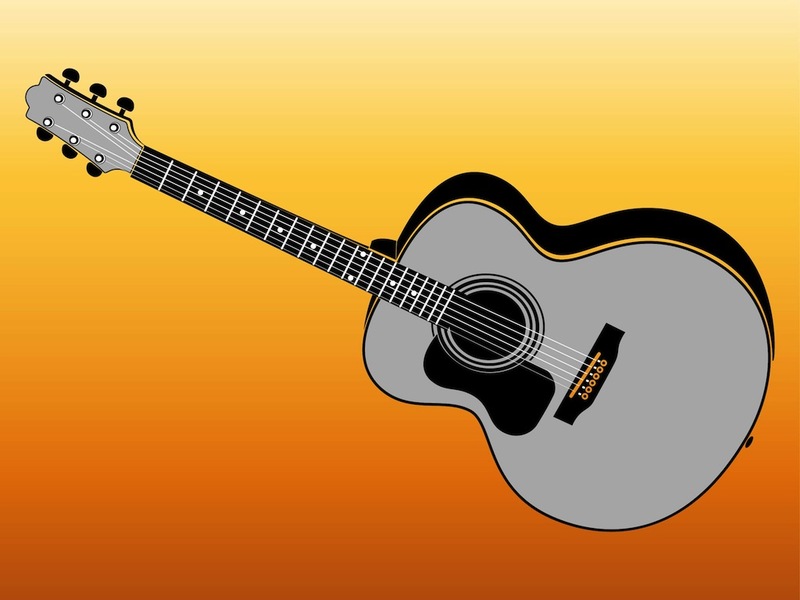 Vector footage of an acoustic guitar. Black-and-white graphics of the musical instrument. Cartoon style music illustration in neutral colors. Free vector graphics for all kinds of music, musical instruments, live performances, shows and concerts designs. Download guitar vector for your posters and flyers. Tags: Acoustic Guitar, Concert, Music, Musical Instrument, Play, Show, Strings.